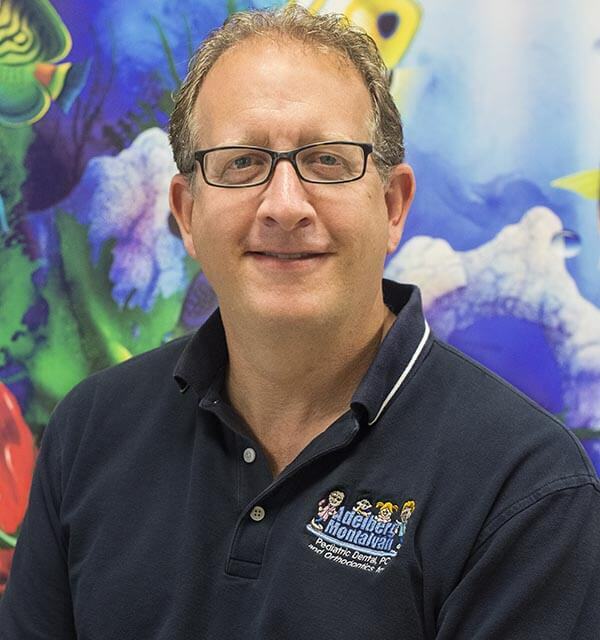 Dr. Marc Adelberg has been delivering outstanding pediatric dentistry since 1998. He received his undergraduate education from the University of Albany, majoring in psychology, and his dental education from the University of Buffalo. He completed a two-year residency in pediatric dentistry at Montefiore Medical Center, the hospital for the Albert Einstein College of Medicine, graduating in 1998. He is a board certified pediatric dentist. He often lectures to residents at Montefiore Medical Center as well as mommy-and-me groups, pre-schools, nursery schools and kindergarten classes. Dr. Adelberg is a member of many professional organizations, including the American Academy of Pediatric Dentistry. He performs in many school shows in the area, introducing the fun of dentistry to many 3- to 6-year-olds. Dr. Adelberg was raised in Long Island and maintains a home and family there. He practices mainly at the Nesconset and West Islip offices. He and his staff strive to bring you the most comprehensive pediatric dental treatment available.